Allan Boroughs is a writer and a traveller with a passion for big adventure stories “in which a lot of stuff happens”. His first novel, Ironheart, was inspired by his travels in Siberia and tells the story of a young girl who goes in search of her missing father and makes friends with a military android. As well as journeying to Siberia Allan’s travels have taken him to Mongolia, China and, most recently to the Antarctic. For his next book, he is planning a trip to the jungles of Venezuela. His adventures have included swimming beneath the Antarctic circle, crashing a dog sledge into a tree, eating fresh scorpions and a very unfortunate incident involving a Siberian toilet. But, he says, the absolute best thing about travelling is the chance to meet people and hear their own stories. When he is not travelling or writing he enjoys reading, practising martial arts and eating cake. He lives in London with his wife, two children and a snake called Elvis. I’d like to welcome Allan Boroughs to bibliobeth today and thank him for giving up his time to do this interview. 1.) Ironheart is an action-packed adventure story right from the very beginning. Did you always know what was going to happen plot wise or did some of it come to you while you were writing? · I think failing to plan for an action adventure novel leads to disappointing results – I find you really do need a sense of how things will develop – what’s connected and how the story will wrap up. I am a detailed planner by nature – spreadsheets, notes, drawings, photos and scrapbooks help me know exactly how the plot will unfold before I start writing. At least that’s the plan – inevitably when you do actually start writing some part of a story will develop in ways you didn’t expect (strangely those are often the best bits).. 2.) At the beginning of the novel we see a future and quite depressing London struggling to hold back the floods. Is climate change a particular concern for you? · Of course – as I think it is for most people who think about what sort of future their children might have. However it wasn’t the primary reason for the scenario in the book. Ironheart is something of a wild west story with sci-fi elements thrown in – in order to make that work I needed something to have happened to unbalance the order of things. 3.) This novel is inspired by your travels in Siberia. Are any of the characters based (or loosely based!) on people that you met there? · Yes and no – I really did meet a shaman in Siberia although it was not the two hundred year old tent dwelling woman in the book – this guy carried an iPhone and wore a shell suit. There are snippets of other people in all the characters but I’m not sure I have the courage to base a character wholly on one person – what if they read the book? 4.) You have created a strong and very likeable female protagonist in India Bentley and some fantastic villains in Clench and Lucifer Stone. Have you any favourite heroes/villains from literature? · I’m glad you like them – I have a great fondness for a good villain as this is the most essential ingredient in any good story. From literature I love Gollum, Lord Voldemort and, for sheer perversity, Mrs Coulter from Northern Lights. My absolute all time favourite villain(s) are the Dickensian assassins Mr Croup and Mr Vandemar from ‘Neverwhere’ – absolute genius. · Heroes can often look a bit anaemic next to a strong villain so I like a hero that has a bit of bite to them – my favourite heroine of the moment (and a big inspiration for India) is Mattie Ross from True Grit by Charles Portis. 5.) Can you tell us a little bit about what comes next for India and her crew? · Lots – as we speak the sequel, Bloodstone has just been released which takes India and her friends (plus some new ones) to Antarctica in search of the lost city of Atlantis – there are more than a few surprises including sea monsters, tunnel drilling machines and a rocket pack. · I am currently planning a third book in the series which I can’t say too much about except that my research includes a trip to the jungles of Venezuela, a visit to a particle accelerator and a lot of reading about dinosaurs. 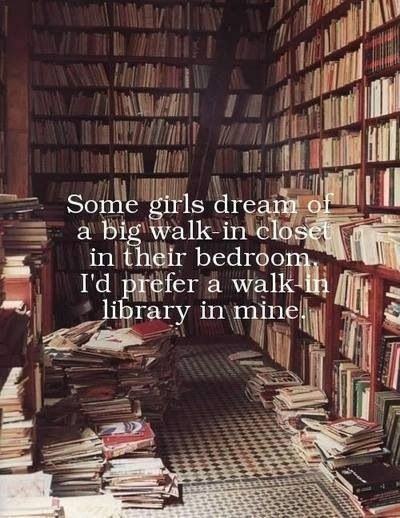 Online shopping or bookshop trawling? I love bookshops but if you’re after something really rare my experience is you’re most likely to find it on line. 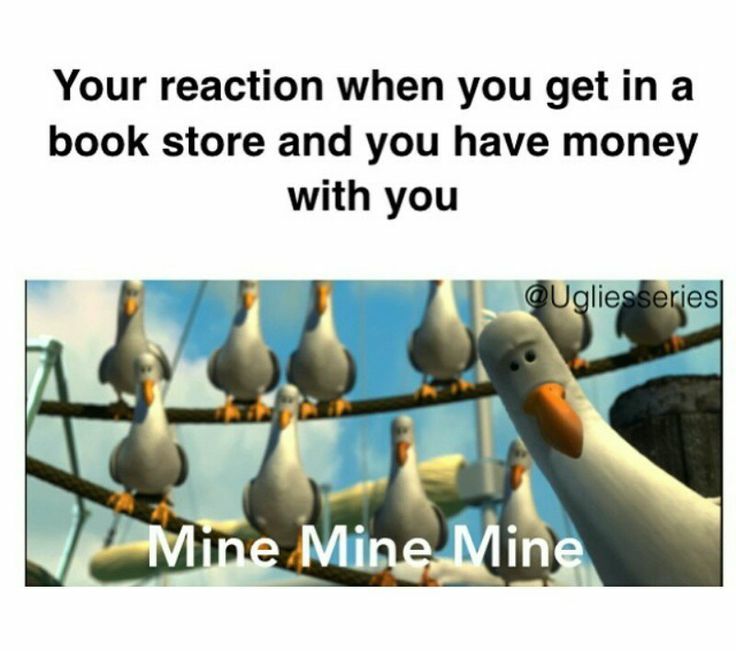 But really, I buy far too many books. And now… a preview of the second book in the series, Bloodstone published on the 1st January 2015. Apprenticed to notorious tech-hunter Verity Brown, India Bentley has spent the last year travelling the globe, finding and selling long-lost technology and doing her best to stay out of trouble. Unfortunately, trouble has a habit of finding her. Accused of an assassination attempt and thrown in jail, India is rescued by scientist-adventurer Professor Moon: a man obsessed with finding the Bloodstone; key to a source of unlimited energy hidden in the lost city of Atlantis. Now Moon wants India and Verity to join his quest. Pursued by gangsters, lumbered with a stowaway and haunted by the ghosts of her past, India must risk everything to uncover Atlantis’s secrets. But the truth comes at a price. India must make the ultimate choice. The fate of humanity is in her hands. A brand new thrilling adventure-quest in Allan Boroughs’ Legend of Ironheart series and available NOW. Many thanks again to Allan Boroughs for making this interview possible and to find out more about Allan visit his website at http://www.allanboroughs.co.uk or follow him on Twitter @allanboroughs. ‘First comes the iron and then comes the snow, and then comes the winter when nothing will grow.’ Since her father went missing while prospecting for oil in Siberia, life has been tougher than ever for India Bentley. Little does she know that he was actually searching for Ironheart, a legendary fortress containing the secrets of the old world. A place some say could save humanity . . . or destroy the world. Along with tech-hunter Verity Brown and her android, Calculus, a killer from the old world turned protector in the new, India must make the journey to remote Siberia to try to find her father and finish his work. But there are others fighting to find Ironheart too – and they have very different goals in mind. If India fails, it won’t just be her father who pays the price. It will cost her the Earth. First of all, a big thank you to the author, Allan Boroughs who gave me a copy of his thrilling debut novel for children in exchange for an honest review. Our story begins in a future, dystopian London where the floods have rolled in, leaving the area almost unrecognisable from its former state. London at this time is a dangerous place to be with food shortages, mutant fish in the waters, pirates and other criminals as the population struggles to get through everyday life. Enter our main character, a thirteen year old girl named India Bentley who is having her own share of troubles. Her father disappeared while searching for oil in Siberia and she is left with a younger sister, Bella, under the care of a (wicked) step-mother who doesn’t particularly care about India’s welfare and has hopes of marrying her off to a much older (and rather disgusting) man, the aptly named Mr Clench. Both girls have their own pendant inscribed with their names which was left to them by their father and it is India’s only real comfort in these difficult times. Luckily for India, her life is about to change forever. Whilst out foraging for food one day, India runs into a woman called Verity Brown and her bodyguard, a wonderful android called Calculus, or Calc for short. They happen to have “business” with her step-mother and India notices that Verity holds a card which has the same picture on it that her father had on his overalls. They want to keep everything about the meeting very quiet and India is not sure that she can trust them although she is instantly intrigued and excited that their visit may have something to do with her lost father whom she has never given up hope. When Verity and Calc appear at her stepmother’s door that evening, it turns out India is about to embark on the biggest adventure of her life. Verity explains that India’s father was not simply prospecting for oil in Siberia (the official story) but searching for a legendary fortress called Ironheart which has the potential to save or destroy the world, depending on whose hands it is placed in. Verity believes that India’s father may have found Ironheart before he disappeared but for some reason has kept its whereabouts shrouded in secret. India offers up her father’s journals as they may hold valuable clues but in return she demands that she should accompany Verity and Calc on their trip to Siberia as it might be a way of finally locating her father. Unfortunately, there is another group of people also desperate to unlock the secrets of Ironheart for their own evil purposes – Lucifer Stone and his son Sid and they will stop at nothing to make sure they are the first to tap on and utilise its power. This makes it a very dangerous time for India, especially if she any knowledge about Ironheart in her possession. Ironheart is a terrific adventure story that I’m really glad I had the opportunity to read. The action and tension in this novel packs an almighty punch and it had me absolutely glued to each page, hungry to know what would happen next. Allan Boroughs has created some fantastic characters in the form of heroes such as the brave and strong India Bentley, the confident and hilarious Captain Bulldog and the loveable and very human-like android Calculus, but also in his villains – our twisted and power-hungry Lucifer Stone, his loyal and blood-thirsty son Sid and Mr Clench, who ooze evil from their every pore but are undeniably exciting and very readable. In Ironheart, the author has written a thrilling story that will appeal to countless children (and adults, myself included!) that has the potential to turn into many more adventures for India & co, and make its characters amongst the most beloved in children’s literature. Personally, I can’t wait for the next instalment, entitled Bloodstone, to see what the gang get up to next. Coming up – don’t miss my Q&A session with the author, Allan Boroughs with a sneak peak at his new novel, Bloodstone and a giveaway opportunity so you can try Ironheart for yourself!